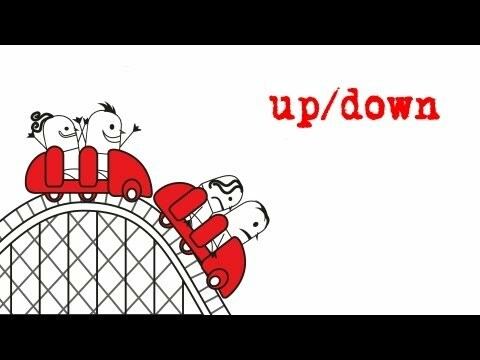 Up/Down: Bipolar Disorder is a documentary that seeks to extirpate some of the mystery and misinformation surrounding the disease that more than 5 million people in the United States are believed to be living with every day. Interviewing people that live with bipolar, the film hopes to explain the struggle that people are facing to balance themselves between a state of euphoria and depression. The bipolar disorder is just of the many mental illnesses that those who suffer from the disease are still being ridiculed for in today’s society, and this documentary sets out to change your perception of those living with bipolar. A short animation by Psychologist Tim Kasser discussing how America's culture of consumerism undermines our well-being. New science is telling us that eating a healthy diet increases good gut bacteria, promotes health, increases lifespan and reduces life-shortening diseases. In The Truth About Exercise, Michael Mosley uncovers the new science that suggests high-intensity exercise may be the secret of living longer and healthier lives. A film presenting the most comprehensive synopsis to date of the real science surrounding the world’s most controversial plant.